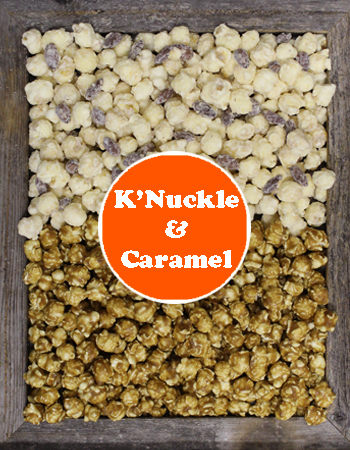 Get equal portions of our Classic Caramel Corn and our Unique and Luscious K'Nuckle. Total of approximately 80 Cups of these two Sweet Treats!! 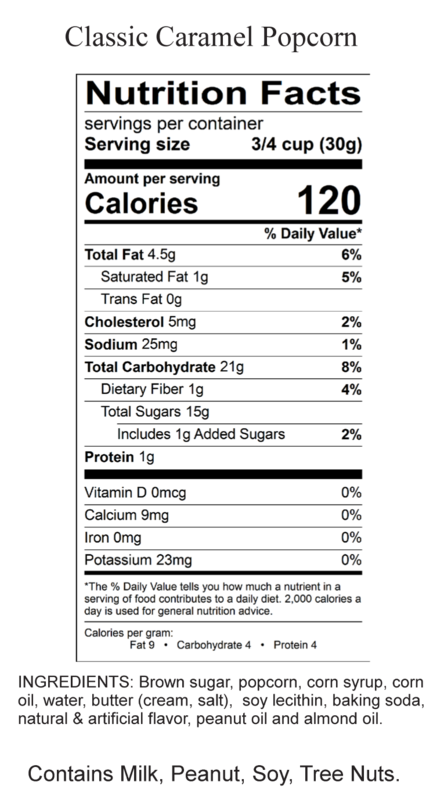 Perfect Popcorn for Parties, Office Groups, Family Reunions, Weddings and Corporate Gift Giving. Product arrives to you in bags, gift boxed with our signature packing.